If you’re looking for ways to take your brand to the next level, here are some thoughts as to where to find your next market advantage. Marketers often talk about competitive advantage as if it is one thing. In point of fact, I think there are a number of ways you can achieve a lead in a market. Each of these ways of standing apart from others can be used on its own or in combination with either or both of the other two to forge deeper resonance. What do you want consumers to feel about your brand that they don’t feel about other brands? Changing how and why people bond with what you stand for can be a powerful differentiator, especially in markets where emotive decisions are unusual or where there is a dominant emotion that everyone looks to. In markets where sentiments are warm for example, what can you do to help people express themselves in other ways? In markets where decisions are normally logical and linear, how can you change the associative value of your brand so that potential customers are interested in you beyond just rational outputs? It’s not necessarily a case of looking for the polar opposite of the mainstream mode – rather, finding an emotion to tap into that others haven’t tried or wouldn’t dare, then using that to position your brand in a different light. Apple for example have managed to combine the aesthetics of a luxury brand with the spirit of a challenger brand to put daylight between themselves and all the other tech brands. It doesn’t just look different. It feels different. Equally, Gecko introduced humor into the very serious insurance sector and got people smiling. How are you going to do things in ways that stand apart from the industry standard? Sometimes, the very thing that works to make a market feel indistinguishable can be used to differentiate your brand from those around you. A different process in a sector swarming with process. A different color in a sector filled with variations of the same color. A different channel in a marketplace where so much happens in set plays. It doesn’t have to be something big. It does have to be something though that you can own and then project as important to others (even if it’s not different from what others do around you). Secret recipes are a simple example of how brands like KFC and Coke have looked to separate what they offer from everyone around them. Are the herbs and spices really that different? Probably not – but combine them with the story of a Colonel, and you have a brand that has found a way to stand out in a market packed with poultry in a box. How do you connect with people that is different from what others do? I had a great conversation with Chris Wren recently in which he talked about the fact that the battle for content would probably be matched, maybe even superseded, by the battle for reach. None of us know how the net neutrality issue is going to play out yet, but at the very least we can assume that brands with scale and clout are likely to do better in a deregulated provider space than those who lack that level of influence. Which begs the question – as consumers detox from social media addiction, and the over-supply of channels and content we have had to date looks set to consolidate, how does your brand intend to stay in touch? Are you looking at a community strategy for example, or are you opting to be an ecosystem? Will you partner, diversify, license or concentrate? How are you planning to keep people’s attention and focus? For me, the key question here is not so much the tactics you will use to make your way onto people’s screens and into their lives, but rather why they will keep looking to connect with you. What will your brand bring by way of an opinion, purpose, ethical stance or whatever that will induce consumers to reach out to you because of how that connection influences their lives? As I said at the beginning, you can choose one or more of these advantages as ways to forge a distinctive path into tomorrow’s markets. The critical thing is, having done so, you need to commit to pursuing that advantage or combination of advantages without distraction for as long as they work for you. It takes inventiveness, courage and discipline to build powerful and intriguing variations on an advantageous theme, but the brands that get it right inject integrity, consistency and trustworthiness into what they stand for. 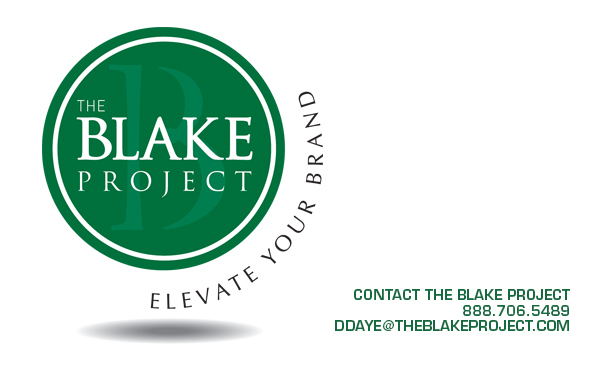 Find your Emotional, Distinctive and Connective Advantage, Contact The Blake Project.